The value of resistor in series with LED may be a different value than 220 ohm ,the LED will lit up also with values up to 1k ohm. 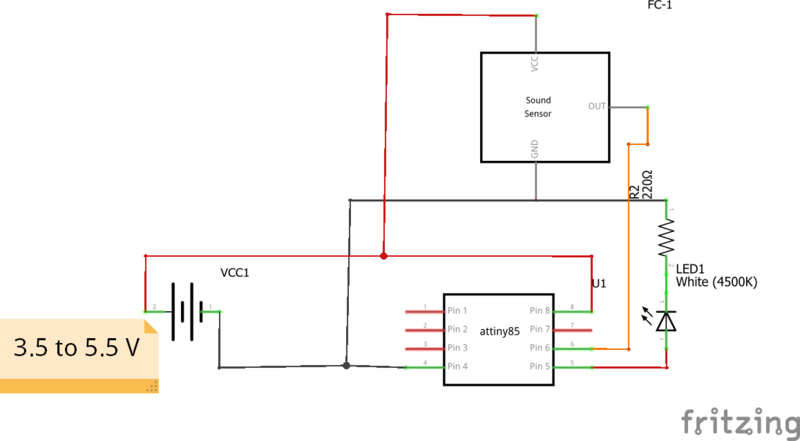 In this project I utilized, or I can say I misused, microphone sound sensor to detect different sources to turn on and turn off lamp. Also I wanted to make this project as small as possible, so I used a ATtiny 85 microconntroller. This is cool because the ATtiny is tiny, and - well - this allows you to make tiny things that don't need a big micro controller. A microphone is an acoustic to an electric transducer or sensor that detects sound signals and converts them into an electrical signal. To generate an electrical signal all you need to do is make movements in the diaphragm. So when blowing on a microphone sound sensor, microphone’s diaphragm responds because it is a displacement of air molecules pushing on one side of the membrane to the other causing electrical signal in the microphone to make it seem like sound. Also here I am describinghow to program ATtiny microcontrollers using the Arduino IDE. The video goes through the build process as well,if you prefer to learn that way! Get the Parts and Materials! The value of resistor in series with LED may be a different value than 220 ohm, the LED will lit up also with values up to 1k ohm. 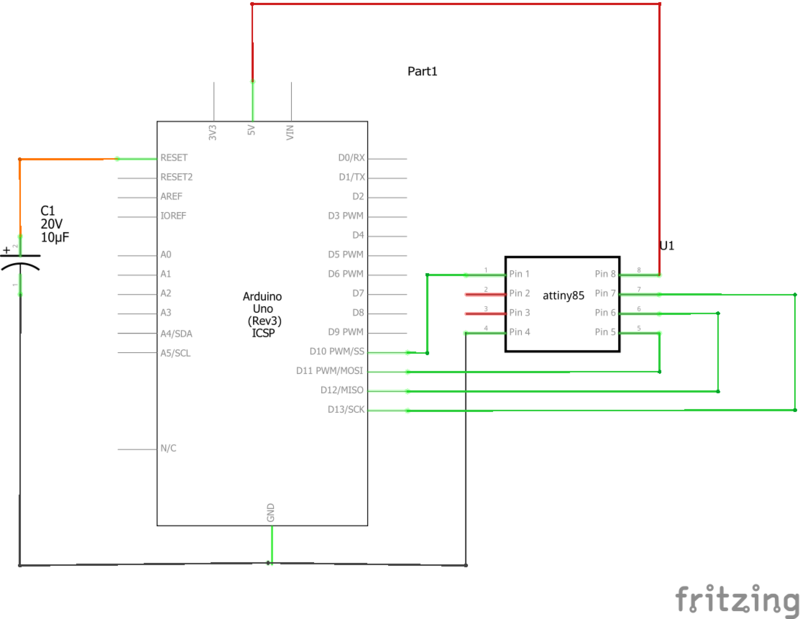 Tools > Board > Manager, install: ATTiny and close Arduino IDE. Also you can get Code and circuit diagram from my Github page. 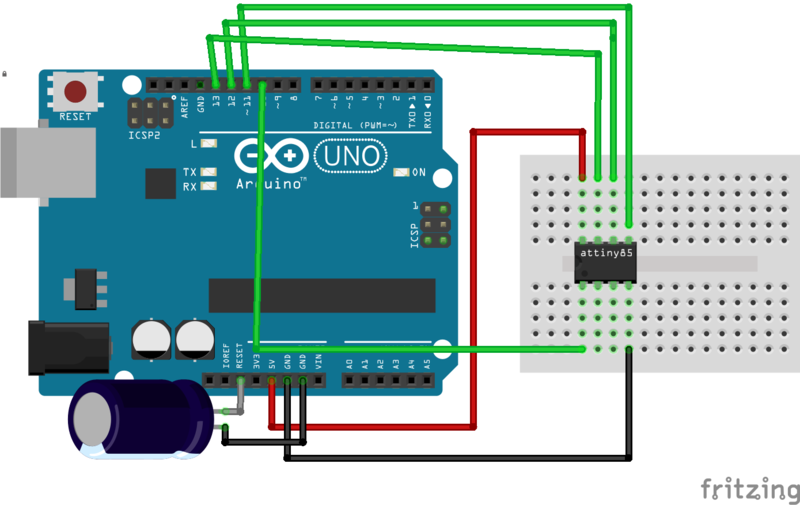 I build a prototype on a breadboard to test the circuit.Follow the circuit circuit diagram to complete the breadboard connection. Note:If the led is not lighting up, you need change the sensor sensitivity (reduce Sensitivity) by rotating the potentiometer. I cut perfboard into a size of coin and I soldered all parts into it.I soldered a usb cable, so I can power it from any USB Ports such as laptop, power bank etc. I decided to build a base and lamp shade.For that I used a bottle cap and a piece of white paper. By using a utility knife cut out some portion from bottle cap to insert usb's wire through it. Fix the circuit into bottle cap using hot glue gun. Get a white paper and join it using hot glue.It must look like a hollow cylinder. Insert the paper through top of circuit and join it with hot glue. Thank you so much for reading if you need any more information feel free to ask in comments, and I'll do my best answer you.